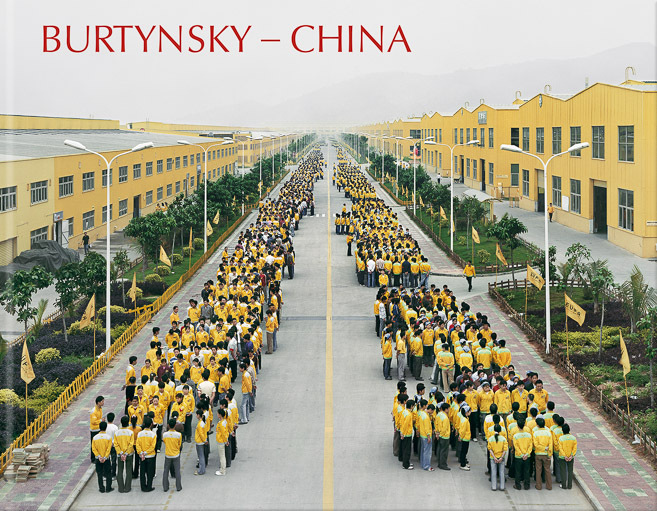 In this book, Edward Burtynsky presents photographs of the remnant and newly established zones of Chinese industrialization—those places created while realizing the “glory” of wealth for a powerful civilization yearning to move forward and join the ranks of modern nations. Using diplomatic channels, Burtynsky has gained rare access to these sites, creating images that are at once arresting and unsettling. These photographs afford us privileged glimpses of the vast social and economic transformation currently underway in China. The photographer casts a watchful eye over the extreme expressions of Chinese industry. His subjects include the Three Gorges Dam, presently the world's largest engineering project, and Bao Steel, China’s biggest steel producer. He explores the vanishing dinosaurs of old industrial complexes in the north eastern “rust belt” and the shipyards at Qiligang, the single most concentrated area of shipbuilding in the country. His camera penetrates into entire villages dedicated solely to the recycling of electronic waste, plastics and metals where the painstaking work of sorting is done by hand. We are taken to see the internal vistas of seemingly infinite factory floors such as that of Eupa, the world’s largest maker of irons (23,000 employees); Yu Yuan, a sport shoe manufacturer that employs 90,000 and Deda, China’s principal chicken processor. Finally, Burtynsky turns his attention to the landscape of cities, zeroing in on the new, tall China of high density centers like Shanghai, where countless skyscrapers quickly replace an older, once graceful incarnation to accommodate the mass influx of new and hopeful urbanites.